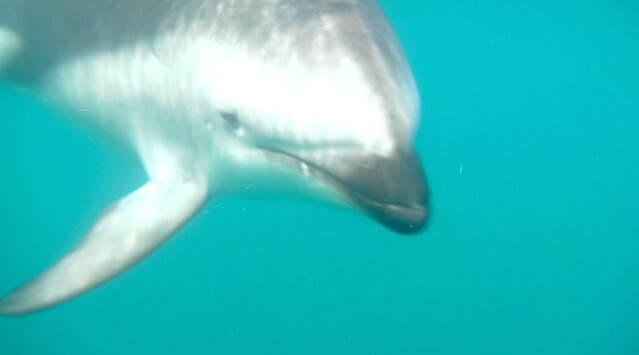 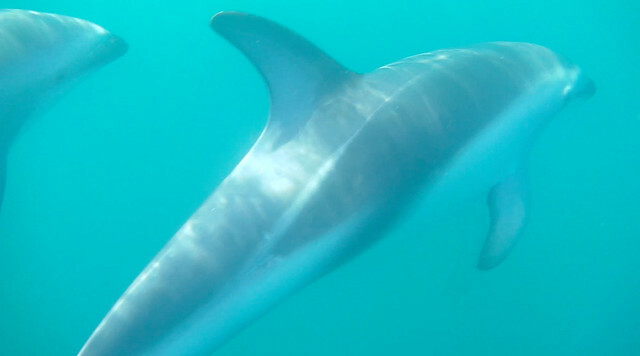 Only one company — Dolphin Encounter — has a license to take people out to swim with the dolphins in Kaikoura, and they are restricted to certain hours (did you know that dolphins have “nap time” in the afternoon??). 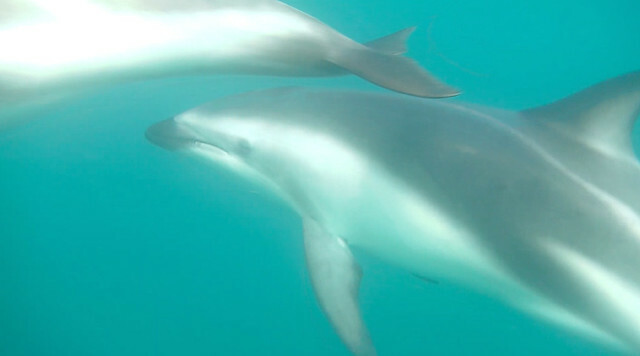 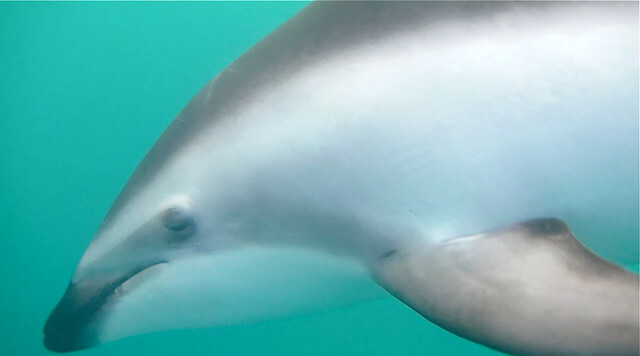 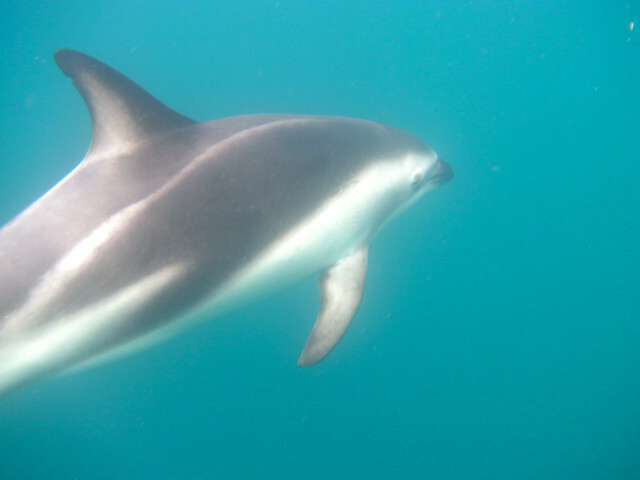 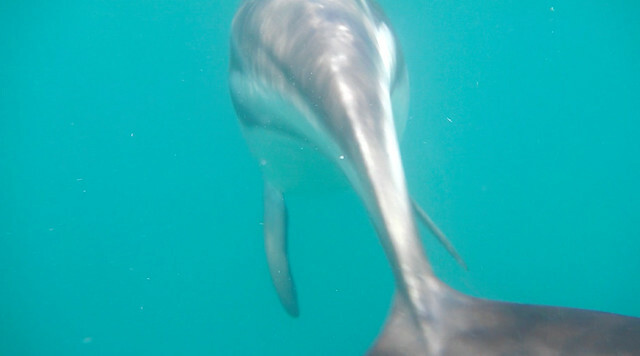 There's no guarantee that you'll get close to the dolphins since any interaction is left completely up to them — but dusky dolphins are curious, and the ones in Kaikoura are usually friendly. 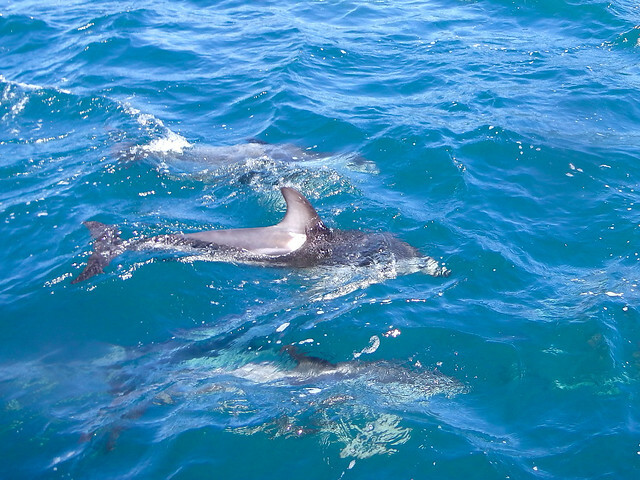 We'd been told on the boat that dolphins are drawn to sound, so we were encouraged to sing and squeal and make any noises we could that might interest them. 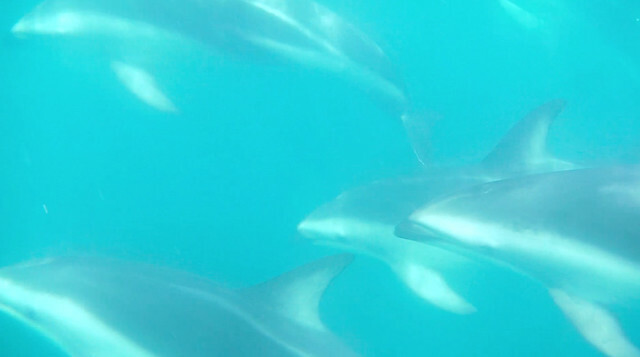 Any time a dolphin would come near me, I would try to look it in the eye and make lots of noise — I hummed, I squealed (sometimes on purpose, sometimes because I was just so excited), I even sang them parts of the “Flipper” theme song. 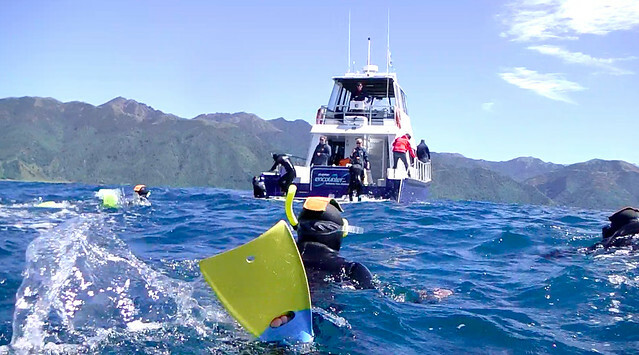 Like I said, there's only ONE company in Kaikoura that operates dolphin tours. 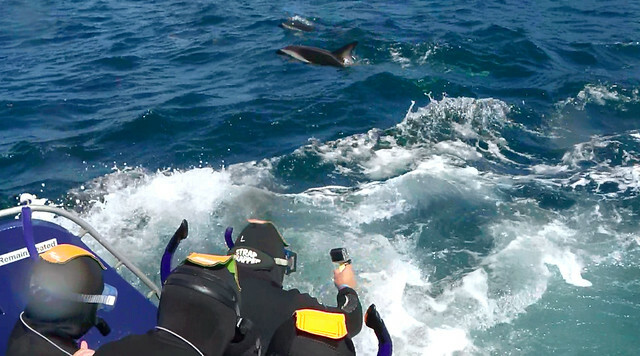 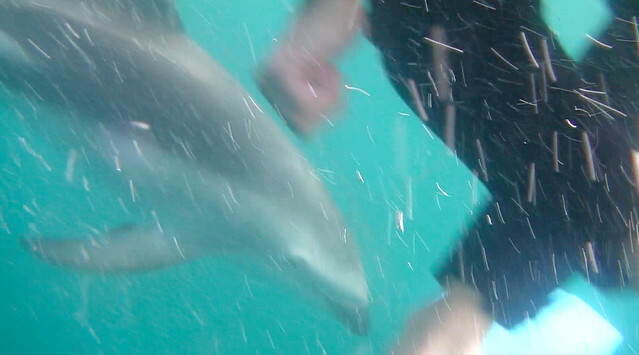 You can book a spot with Dolphin Encounter either as a swimmer or a spectator. 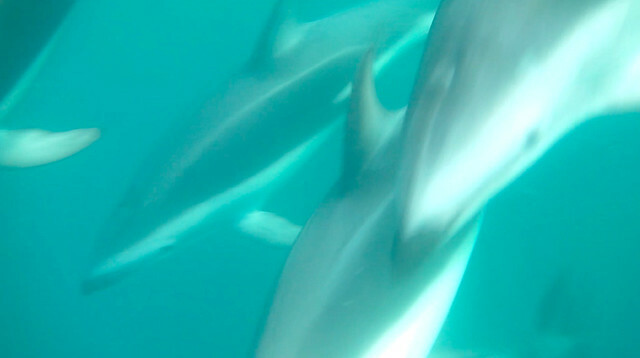 I would highly recommend booking in advance, especially in the summer — since no one else does these tours and they only take a certain amount of people, spaces can fill up quickly!